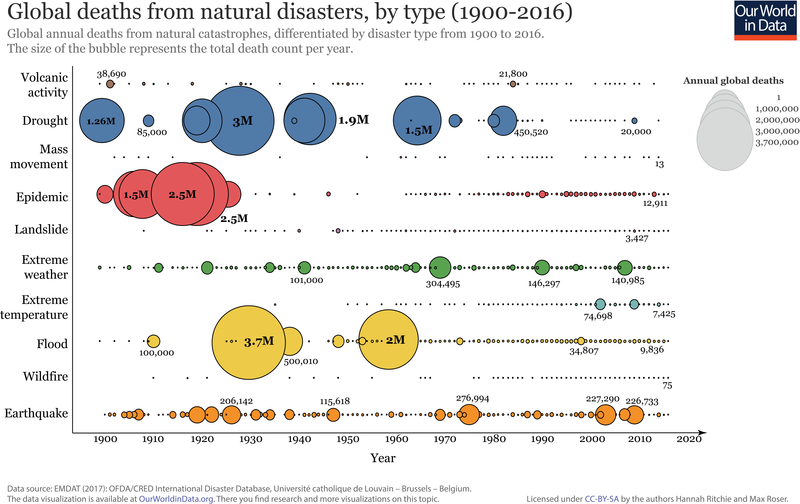 The global exposure of population and built-up surface to natural hazards increased in the last 40 years. Some hazards, due to their nature and characteristics, pose a threat to a large number of people in different regions of the world. Earthquake is the hazard that accounts for the highest number of exposed population. The number of people living in seismic areas has increased by 93% in 40 years (from 1.4 billion in 1975 to 2.7 billion in 2015). In 2015, 414 million people lived near one of the 220 most dangerous volcanoes and could suffer from the consequences of eruptions. Tsunamis affect coastal areas in many regions, but dangerous areas are more concentrated in Asia. Japan has by far the highest amount of built-up surface exposed to tsunamis, followed by China and by the United States of America. Task - Using all of the information above, complete the following activity. 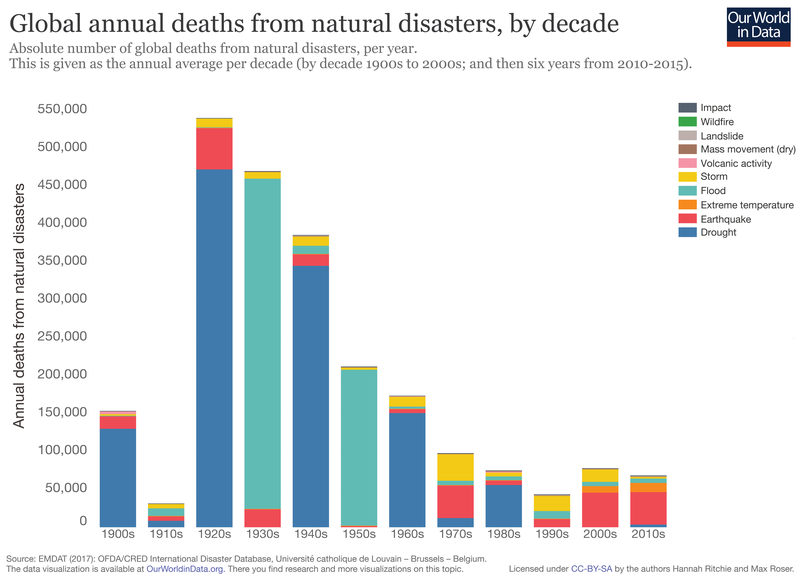 Describe the global geophysical hazard and disaster trends (event frequency, hazard type, deaths) and how these trends may be affected by future population growth trends. Study the resources below on zoning, insurance and technology to identify how levels of adaption and personal resilience can be improved. Task - Complete the note taking worksheet beneath to show the main features of each strategy as well as their likely successes in countries at different levels of economic development. Task 1 - Split into groups. Each group will take one of the methods above. Use the resources hyperlinked on the worksheet below as well as the videos above (if needed) to complete the tasks set out. Share your information by way of a Google Doc at the end of the lesson. 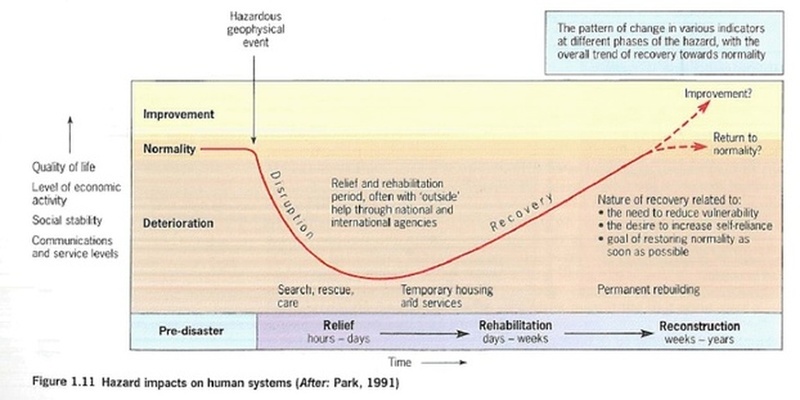 Experience of natural hazards generally involves a series of activities which are inter-related, may overlap in time and may exist for different periods of time in different hazard settings (see above). Whilst precise details of what happens when will depend on the type, magnitude, location and timing of the hazard event, a common pattern can be detected. Before a hazard event normality prevails, with quality of life for locals, level of economic activity and social cohesion and stability having built up naturally over a period of stability. When the hazard strikes normality is disrupted, often immediately and totally. The relief or emergency period (phase one of the life-cycle) starts straight away. During the first few hours and days efforts are made to provide food, water, clothing, shelter and medical care to all inhabitants of the affected area, and to stop continued loss and disruption directly related to the event (such as the collapse of damaged buildings, or the spread of fire or infectious disease). The emphasis during the disaster relief phase is on speed and efficiency, and mistakes can be made despite efforts to make rational decisions in the face of panic reactions and lack of time, resources and full information and understanding. Relief teams from outside the immediate area may arrive to help or organize search, rescue and care operations. Urgent supplies of medical drugs and equipment, rescue equipment, clothing and food may be flown in. International relief agencies such as the Red Cross provide vital logistical, medical and humanitarian support during this critical initial phase of disaster response. After relief comes the rehabilitation period (phase two), which might last for several weeks or months. Actions are designed to restore physical and community structures to at least a temporary return to normality (Figure 8). Mass shelter is replaced by temporary housing, the injured are transferred from field hospitals to regular hospitals, money and resources are made available to the unemployed and dispossessed. More complex than the relief, rehabilitation requires accurate assessment of needs and carefully co-ordinated planning of responses. 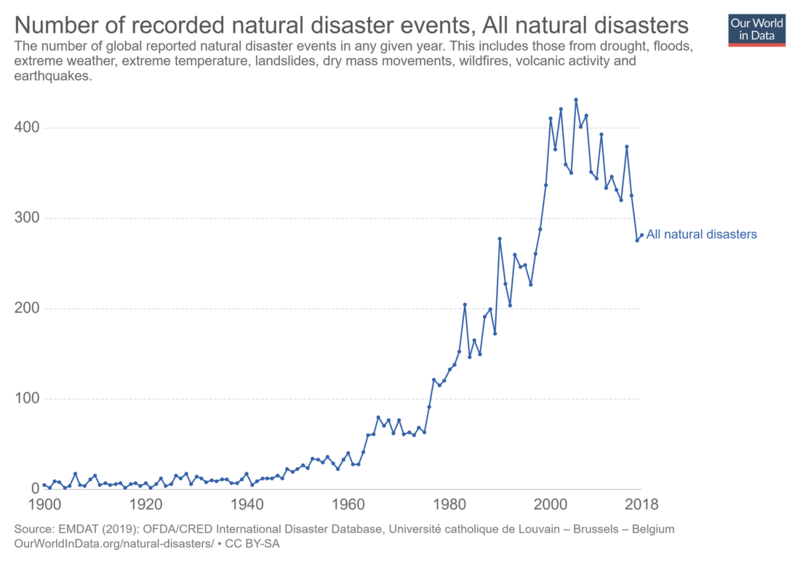 The risk of recurrent disasters commonly remains during this phase - if the hazard strikes again, or wider (and less obvious) impacts of the event were not identified and at least partially catered for (such as the spread of infectious disease because of inadequate sanitary provision). Money and resources are made available to the unemployed and dispossessed. More complex than the relief, rehabilitation requires accurate assessment of needs and carefully co-ordinated planning of responses. The risk of recurrent disasters commonly remains during this phase - if the hazard strikes again, or wider (and less obvious) impacts of the event were not identified and at least partially catered for (such as the spread of infectious disease because of inadequate sanitary provision). 3. the over-riding goal of restoring normality as quickly as possible. 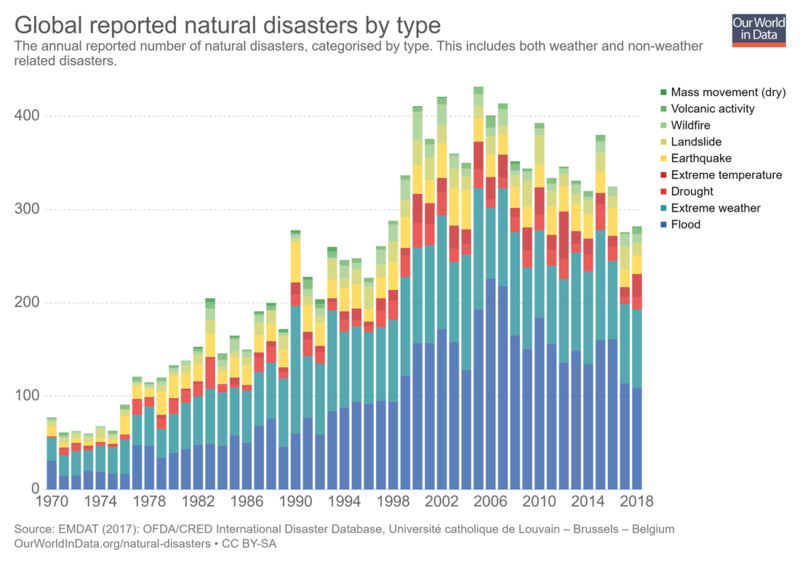 The speed and efficiency of recovery after disaster varies according to type and magnitude of the hazard event, and availability of contingency planning for disasters. International relief agencies (such as Oxfam and the Red Cross) have accumulated vast expertise in planning, co-ordinating and monitoring recovery activities after disasters, and they have done much to reduce indirect and long-term impacts of hazards and to reduce injury, death, hardship and suffering amongst people in hazard-prone areas. Task - Complete a note taking exercise summarising each of the 3R's into no more than 50 words around a copy of the graphic at the top of this page. Task 1 - Watch the two videos above. Take notes on how communications technologies were used to map hazards/disasters and promote continuing human development. ​Task 2 - Watch the two videos above. Take notes on how communications technologies can be used to locate survivors and promote continuing human development.